Product prices and availability are accurate as of 2019-04-20 12:39:51 BST and are subject to change. Any price and availability information displayed on http://www.amazon.co.uk/ at the time of purchase will apply to the purchase of this product. Wasgij What If...? 2: Dinosaur's Still Existed? 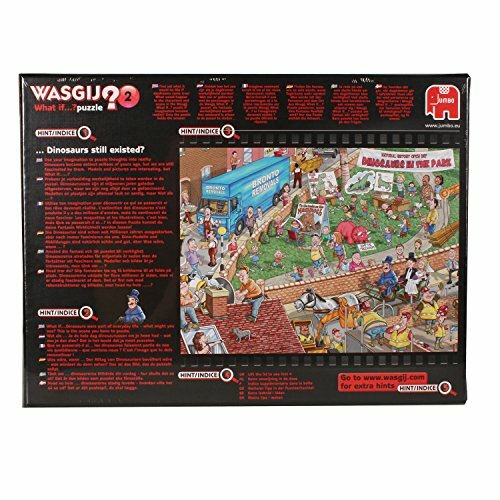 is a fantastic 1000 piece jigsaw puzzle and is the second Wasgij What If...? puzzle in the range. As you can see from the image printed on the box it's the Natural History Open Day at the local park and the theme of this day out is - Dinosaurs in the Park. Parents have brought their little ones along to enjoy a variety of games such as...pin the tail on the mammoth, jump the triceratops, colour the dinosaurs and much more. 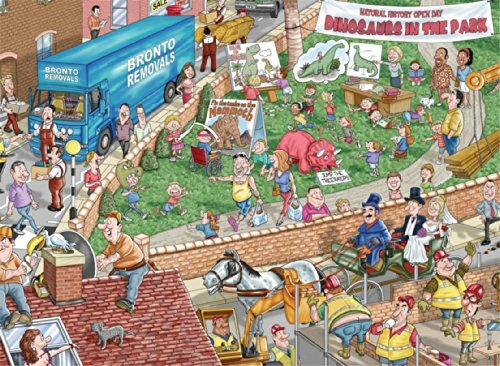 But outside of this fun open day in the park, construction work still continues as 'Bronto Removals' arrive to collect some goods and a newlywed Bride and Groom enjoy a horse drawn carriage ride. But what if the children's imaginations actually become reality and dinosaurs still existed? That is the image of the 'solution' jigsaw puzzle you have to piece together! 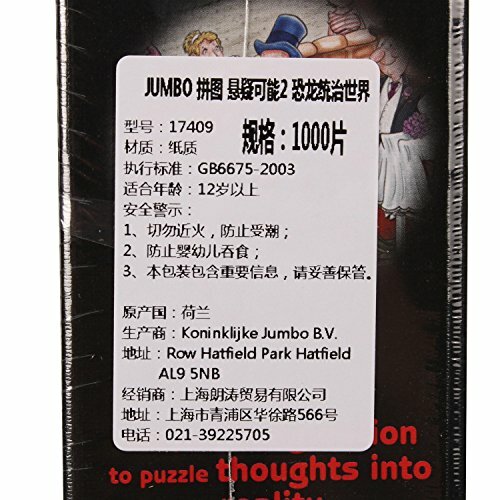 The puzzle measures 68 x 49 cm when completed and is produced on a high quality cardboard using Jumbo's precision die cutting techniques to ensure you receive only the highest quality product and each jigsaw piece maintains its original shape for as long as possible. Wasgij What If? is the brainteaser puzzle concept where you have to work out what would happen to the scene in the puzzle box image if the daydream came true. 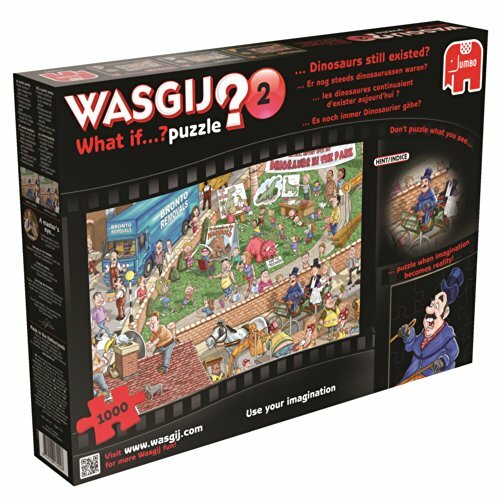 This fabulous Wasgij puzzle has been illustrated by Jumbo's popular artist, Bill Houston.